While the Delhi government invoked ESMA to prevent the strike, thousands of workers boycotted work on October 29, forcing the DTC to withdraw its previous wage cuts. The problem is that DTC workers themselves are seen as loss-making units rather than assets. Credit: Special arrangement. New Delhi: Bus driver Rajesh Chopra paints a glum picture of working conditions as a contractual worker for the Delhi Transport Corporation (DTC). Waking up at 3 am each day of the week, he travels two hours from outside Sonepat to his assigned bus depot, often to find that he has no duty assigned to him due to unending chaos in DTC’s worker scheduling. Chopra’s wife wakes up even earlier, preparing lunch for a day that can often go on for more than 12 hours. In all this, Chopra’s biggest complaint is that he doesn’t even get to spend national holidays like Diwali with his family. On Monday, with these conditions in mind, DTC workers and union leaders went on their first major strike in 30 years. Over 12,000 contractual workers and over 2000 permanent workers stayed home or took to the streets. According to a press release by Abhishek, general secretary of the All India Central Council of Trade Unions (AICCTU), several union leaders were detained/arrested early in the morning. This comes after the the Delhi government invoked the Essential Services Maintenance Act (ESMA) on Saturday to prevent DTC workers from going on strike. 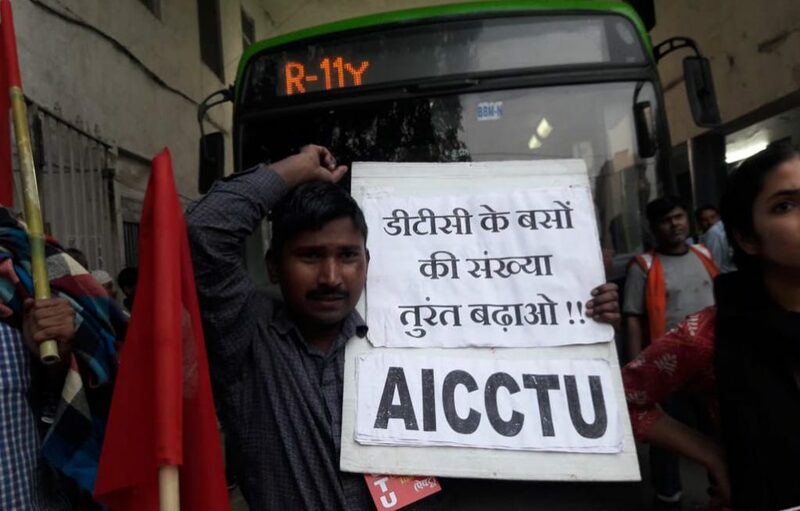 The immediate impetus for the strike comes from a circular released on August 21 by the DTC management that reduced the wages of contractual employees by almost 25%. This came after the Delhi high court in August declared ‘unconstitutional’ the Delhi government order increasing workers’ minimum wage. In retaliation, the workers have released three demands: immediate restoration of wages to the rates introduced before the HC order; ‘equal wage for equal work’, highlighting the need to regularise contractual workers and give them the same wages as permanent workers; and an increase in the number of DTC buses from 3,500 to eleven thousand. In September, in the first opinion poll on a strike in Delhi’s union history, a remarkable 98.2% of 10,200 workers voted in favour of Monday’s strike. According to Abhishek, despite several attempts to institute formal talks by the unions, the DTC and the Delhi government have not reached out to amend matters. For its part, the DTC released a circular to union leaders on Sunday night that agreed to restore workers’ wages to the pre-verdict amount. Yet the strike continues undeterred as, for one, the circular was issued too late to make substantial changes to the plan, and for another, the other two demands have gone unheard. Participants at the strike raise slogans. Credit: Special arrangement. This civic-minded outlook has other aspects. 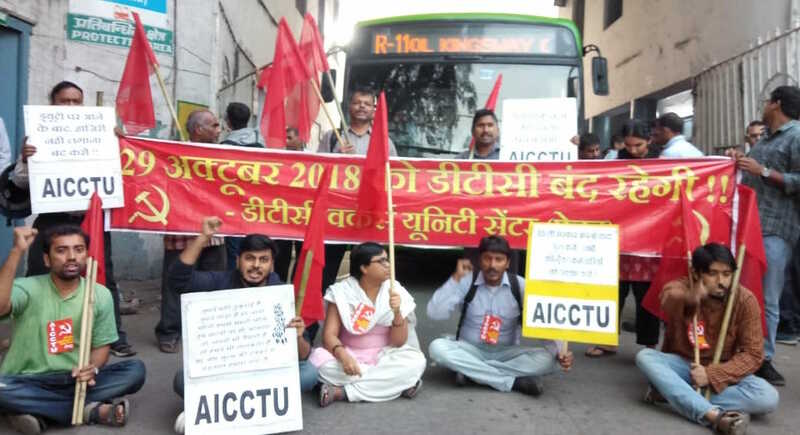 At a press conference held by the AICCTU in solidarity with the DTC workers on Saturday, Gopal Pradhan of the Delhi Teachers’ Initiative brought out the triangular relationship between education, pollution and public transport. As a teacher at Ambedkar Vishwavidyalaya, he emphasised how necessary public transport is to bring students living in otherwise inaccessible areas into the education fold. He also brought out the tremendous need for pollution reduction that would serve not only students, who often fall sick in Delhi’s reprehensible air, but also Delhi’s population at large. When asked if the introduction of new buses and an increase in employee wages would lead to further losses in a corporation that complains of a crippling lack of funds, an indignant Dhirender Sharma, general secretary of the All India Trade Union Congress (AITUC) Delhi, put forth three possible sources of revenue – restoration of DTC’s Okhla workshop which was stopped a few years ago; reopening of its printing press; and renewed and efficient use of DTC land – to bring funds back to the DTC. He also brought up the possibility of using DTC buses for advertising, emphasising that the losses are not the workers’ burden to bear. Also read: Is the Delhi Metro Really Public Transport? The problem is that DTC workers themselves are seen as loss-making units rather than assets. Rajesh Chopra’s story is one of the 12000 odd accounts of negligence that contractual workers have been subject to. More than the physically gruelling work conditions, Chopra explains how “mentally disturbing” the rigamarole of navigating the DTC institution has been. “No one cares about us. We have no checks on pollution, no access to health check ups and not enough money to go to doctors when needed. We get no overtime for the four to six hours of extra work we often end up doing, and even our families are put under pressure by our long hours and low wages.” This leads to dangerous levels of stress that make it difficult to work at full capacity. The lack of sleep, characteristic of a DTC worker’s job, only exacerbates the effects on their mental health. These dangerous oversights speak to a problem that goes far beyond the issue of wages. It is a structural problem that requires not only acquiescence but real negotiations between the DTC and its workers. The Wire reached out to Gopal Rai, Delhi government’s minister of employment and labour, for comment, but is still awaiting a response. Nagender Sharma, media advisor to the Delhi government, however, did not see the tussle between workers and DTC as one of the primary concerns of the Aam Aadmi Party-led government. “This is the DTC’s matter, not the Delhi government’s. 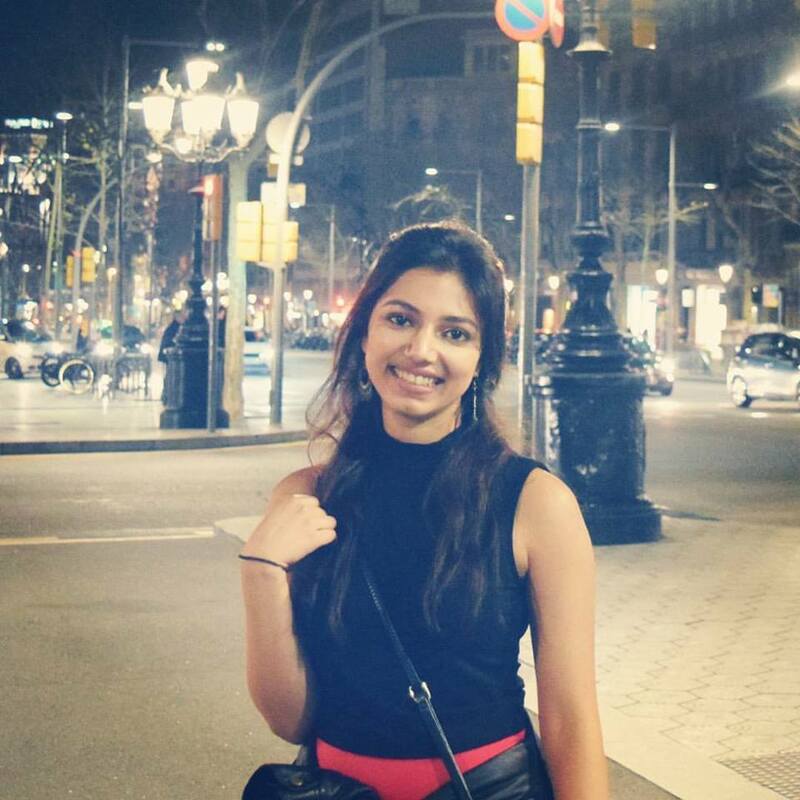 But I can say that almost 90% of workers are not on strike,” Sharma said.